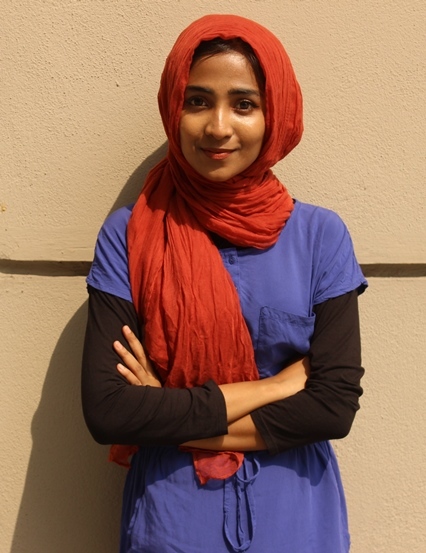 Second year student, Saima Islam shares her experiences as a global studies major. Reading the news and watching global events unfold often leaves us puzzled. Whether it is the Arab Spring, Brexit or the South China Sea conflict, we are left with a multitude of questions about the underlying motives of the countries involved and the causes and consequences of their actions. A number of crises in the world, such as the conflict on the Korean Peninsula or the Middle East, are long lasting. Yet, solutions have not been found. Why? The wish to understand these issues inspired my decision to enrol in the Bachelor of Arts (Global) at Monash University Malaysia. The program equips students with tools to analyse the complex web of relations between individuals, governments, and states, both in history and in today’s international politics. It is a unique mixture of history, politics, international relations, and political economy. It covers a wide range of highly relevant and up-to-date topics, such as the role of international organisations (UN, EU or ASEAN), refugee issues, human rights, climate change, economic development, inequality, financial crises and their origins, and many more. Often the focus is on transnational or transborder developments to show the global character of these issues. Students delve into these matters to learn the causes and consequences and the debates surrounding them. For instance: the impact of economic globalisation on global warming and climate change. We discuss the tensions between development and environmental protection, as well as analyse the interests of industrialised states (EU; USA) and developing countries like China, India or an island state like the Maldives. Finally, we look at how international cooperation agreements like the Kyoto Protocol or the Paris Agreement might help solve these issues. What happens when the USA leave these agreements? Often our study includes contentious issues as well, such as human rights, social movements, democratisation, war or peace etc. By unpacking these difficult concepts, we see that they relate to the core values and interests in our societies. We study these social and cultural identities and see how they change through global interactions. While debating these issues, we also have to make up our mind and take certain (ethical) positions. This enables us to think critically, identify problems and discuss (alternative) solutions. We learn to communicate effectively. We often do this in teams or groups, often with students from diverse cultural backgrounds. In global studies, students learn to be culturally aware and respect other cultures. Students drop stereotypes or any bias they might have towards other people, since their subject teaches them to appreciate and celebrate the beauty of diversity. This shapes students experience and makes them global citizens who are able to communicate effectively. They can adapt easily and build a genuine concern for other cultures. The textbook knowledge of cultural globalisation can be witnessed on campus itself. Alongside learning and discussing about the social issues in Global Studies, students develop a sense of responsibility and enthusiasm to contribute to society in a positive way. A number of students want to do more. For instance, during my first year, I wrote articles for the student magazine and became a mentor for the new international students under the International Buddy Program, which aims to help newcomers transition seamlessly into the new university environment. I was also a student ambassador, which gave me the chance to nurture leadership and presentation skills. My peers also got involved in NGOs or journalism. These extra-curricular activities paired with the classroom lessons help us find a direction for the future. They nourish enthusiasm, provide leadership skills and give us a better understanding for a future career. Through the course of my studies, I also volunteered at the United Nations High Commissioner for Refugee (UNHCR) and a local NGO called Children Shelter Home where I spent time teaching refugee children. This gave me some insights into future jobs and career prospects. The prospect of Global Studies students are not limited to any particular field but rather expands to a range of non-governmental organisations, diplomacy, foreign affairs, politics, education or even research based work. A number of former students have also worked in marketing or diplomacy. The soft skills acquired by students are highly sought by employers from both the public and private sector. Global Studies graduates work in governments and international organisations. As for me, I am looking forward to my exchange program in Leiden University of Netherlands next semester as a part of my coursework. I intend to go for further studies when I graduate and aspire to contribute to the academia and live by Monash’s motto, “Ancora Imparo”, which means “I am still learning”. Saima Islam is a second year student, majoring in global studies, at the School of Arts and Social Sciences, Monash University Malaysia. Her next semester will see her on a semester-long exchange to Leiden University in the Netherlands, through the Monash Study Abroad program.